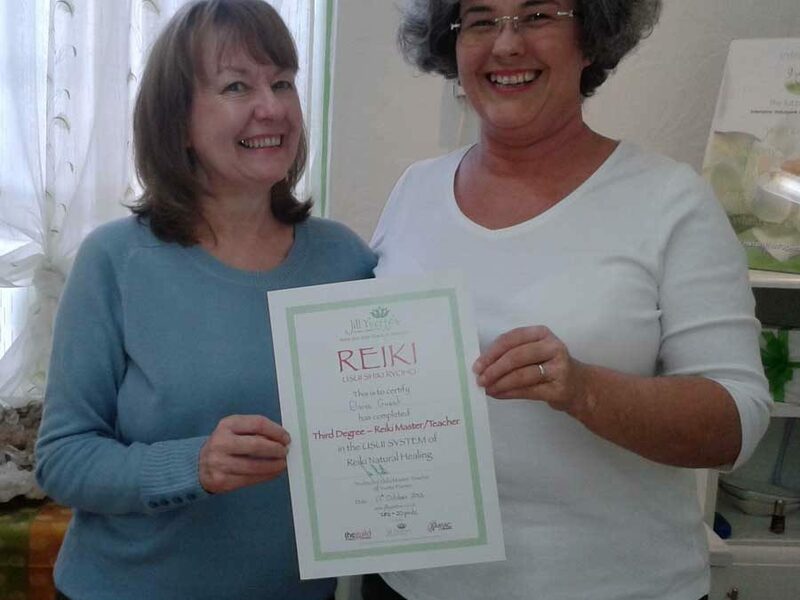 In October experienced Beauty Therapist – Elaine Guest finally achieved her Reiki Master status with Jill Yvette. Elaine had waited over 10 years to progress to this level. Photo shows Elaine been presented with her certificate by Jill at the new look Jill Yvette’s Holistic Beauty premises in Huddersfield. Training was sponsored by her local NHS Cancer department, and she now hopes to take it back to her team, and herself train other therapists in Reiki for the benefit of cancer patient treatments. This is a wonderful example of how the two professions are now merging in everyday life for the benefit of the client / patient. Congratulations Elaine.